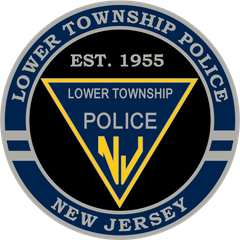 On March 13th, 2019 at approximately 11:24 a.m., Lower Township Police were alerted of a 911 call received from Cape May County Dispatch of a subject who was outside their headquarters, Lower Township Public Safety Building, requesting that a police officer come outside and shoot him. The injured officer was evaluated, treated, and released for his injuries. Mr. Doherty was charged on a warrant with Aggravated Assault on a Police Officer Title 2C:12-1B(5)(A), Resisting Arrest Title 2C:29-2A(3)(A), Possession of a Weapon for Unlawful Purpose Title 2C:39-4D, and Unlawful Possession of a Weapon Title 2C:39-5D. Brian E. Doherty, Jr. is currently in custody awaiting further adjudication.